CHICAGO (WLS) -- The Lincoln Park Zoo celebrated two special birthdays on Thursday; Patty and Nayembi, two western lowland gorillas born just weeks apart in 2012, turned 3-years-old. 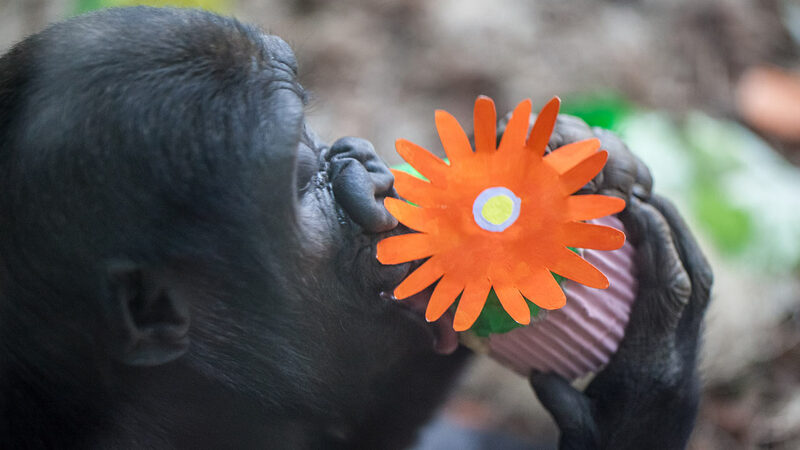 What do you get for a 3-year-old gorilla? Pinatas filled with veggies of course. You can see Patty, Nayembi and the rest of the gorillas for free at the zoo's Regenstein Center for African Apes.